The fifth day of the India’s Cup 2018. By Day 5, the India’s Cup was in full swing. 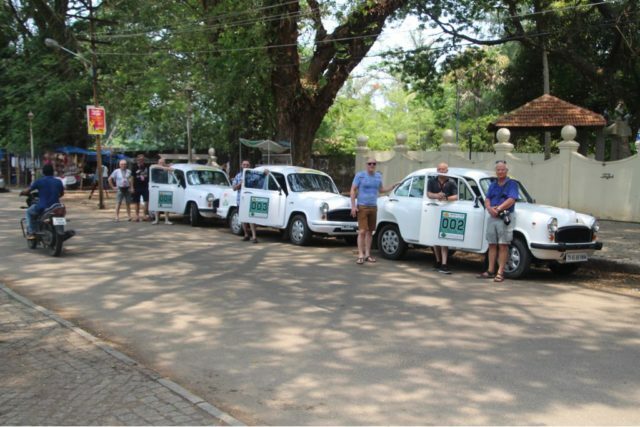 The previous day had been a long drive, coast to coast, but the next day’s route, from Alleppey to Coimbatore, was more relaxed. There were also a couple of fantastic sightseeing opportunities, and we have to photos to show for it. 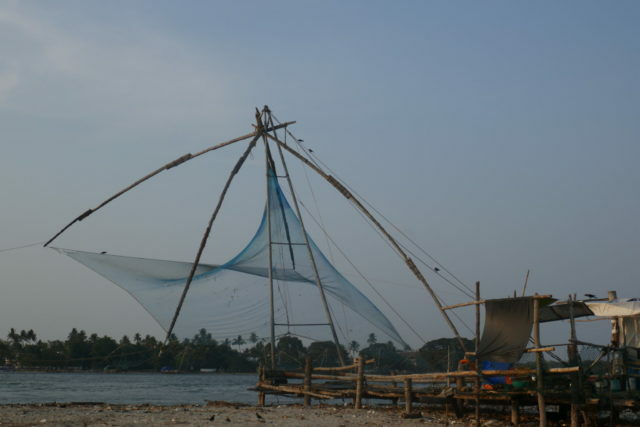 The day’s first stop was Kochi, a major port city with a storied trading history. 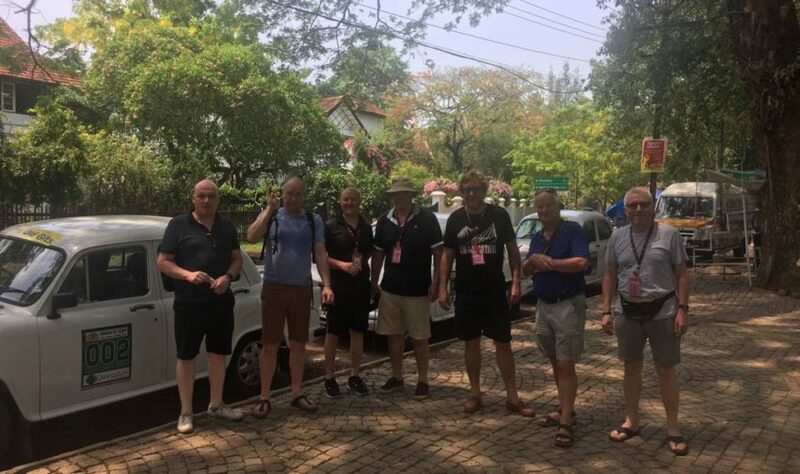 Teams were recommended to take a morning break in historic Fort Kochi, where they could find the famous “Jew Town”, spice shops, and, most impressively, the famous Chinese fishing nets. This technology, pictured above, was brought to the area centuries ago by Chinese traders. They are a now a landmark of the city, but still in continuous operation. After the day’s drive, and a hearty meal, there was just enough time to catch one of the most stunning places of our entire trip. 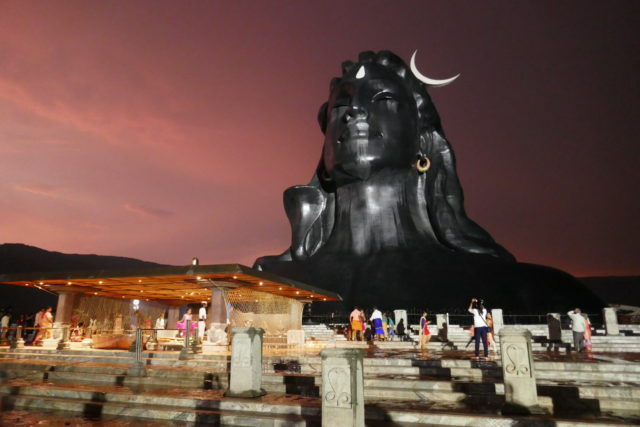 Roughly 45 minutes drive from Coimbatore is a gigantic shiva statue, which naturally attracts many visitors. We arrived just before sunset, but were initially forced to shelter because of heavy rain and dramatic lightening. Afterwards we were treated to a glorious sky, and a truly religious experience.